Order a Digital Hi-res copy 2048 pixels x 3072 pixels of this image for delivery via e-mail link. NOTE: The actual pixel dimensions of the ORIGINAL HIGH RES. version of this image of River Aire Leeds, Merchants Quay, Apartments, City Living, Riverside, Waterside, Canal, Wier are 2048 pixels x 3072 pixels. (Further quantity discounts apply for orders of 3+, 5+ and 10+ different images!). Please see our License Terms (Commercial) for permitted uses. Publisher: © Red Door VR Limited, Leeds UK. NOTE: You are viewing a LOW RESOLUTION web preview image, images for licensed commercial reproduction are supplied as HIGH RESOLUTION DIGITAL IMAGES. 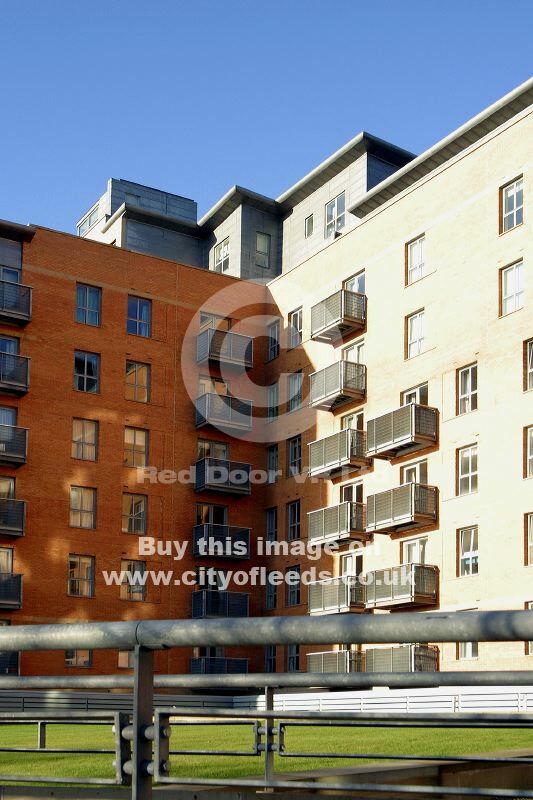 Image added to Images of Leeds Photo database: 3/5/11 © Red Door VR Limited. Please note we treat all cases of unauthorised use of our copyright images seriously.